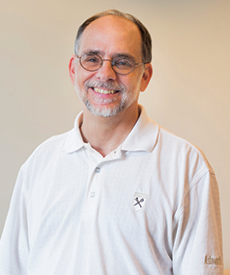 Three days after the 40th anniversary of his arrival at Rollins, Mike Lynn, senior associate in the Department of Biostatistics and Bioinformatics, retired. Family, friends, and colleagues gathered to wish him well on his new path. 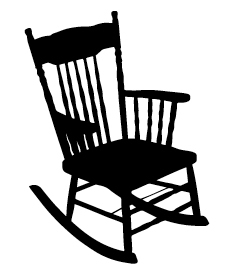 He was feted with a slideshow, an array of lighthearted gifts, and the traditional rocking chair. Department Chair Lance Waller wrapped up the presentation by announcing the establishment of the Michael J. Lynn Collaboration Award in Biostatistics, which will be given each year to a scientist who emulates Lynn in going above and beyond in collaborative efforts. The first recipient of the award will be Lynn himself. "Mike built a capacity in our department, our school, and our university for high-quality data management for biomedical research," says Waller. "He built a reputation here and nationally for his work. We have established this award in his name as a lasting recognition of his career, his high standard of excellence, and his impact on biomedical science and to future generations of biostatisticians."